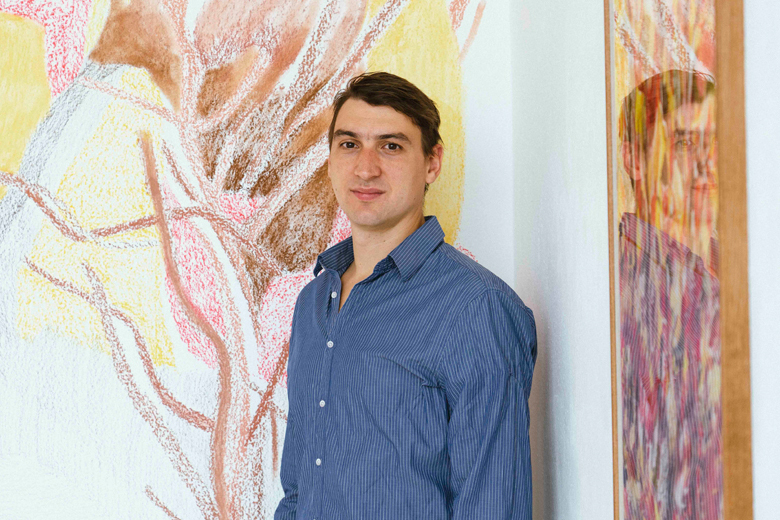 STEFAN SCHWARZER works as a world traveller on the road. 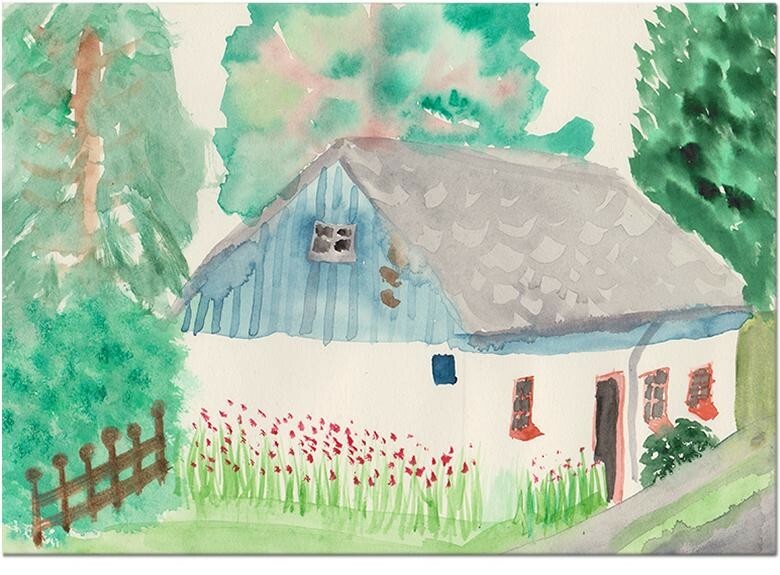 Always in connection with the respective location, extensive series of drawings are created, which sensitively and attentively document the specific mood of the place. 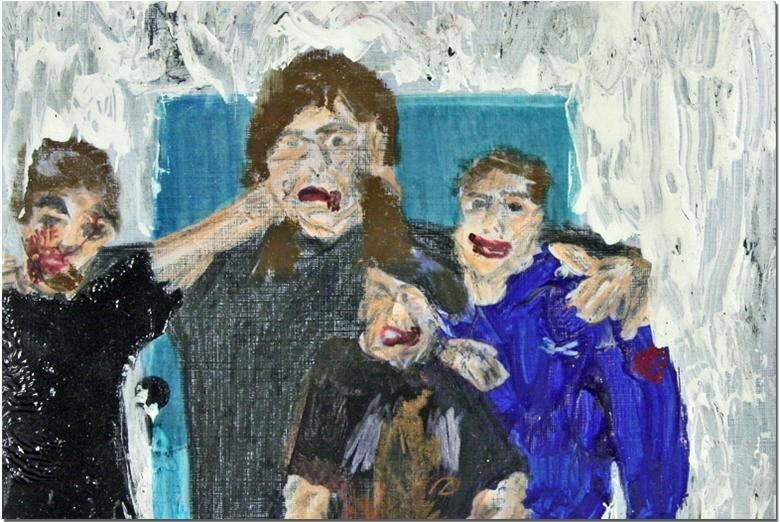 Over the past 10 years, the artist, who lives in Germany and Cuba, has received numerous scholarships and art awards. Havana is a magic place with a unique architecture. Despite efforts to protect the old buildings from the tropical climate or personal conversions of the inhabitants there are almost daily house crashes in the city. 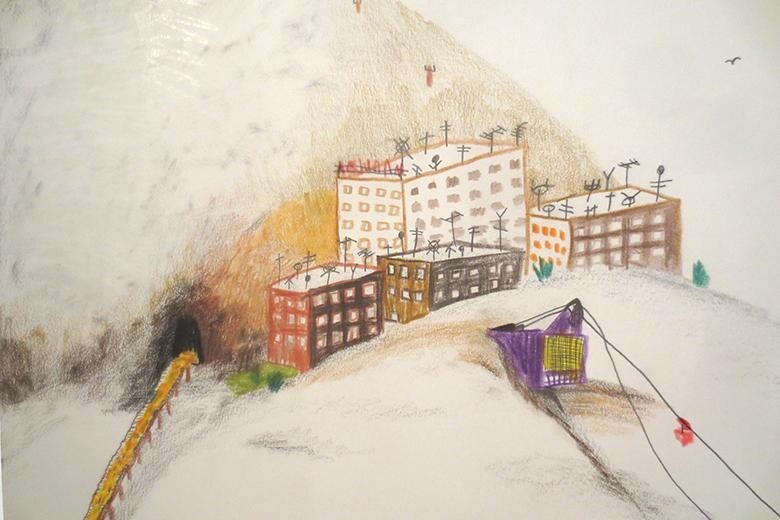 To protect the buildings from their possible disappearance Stefan Schwarzer document them with intensive, colored pencil drawings on the street. 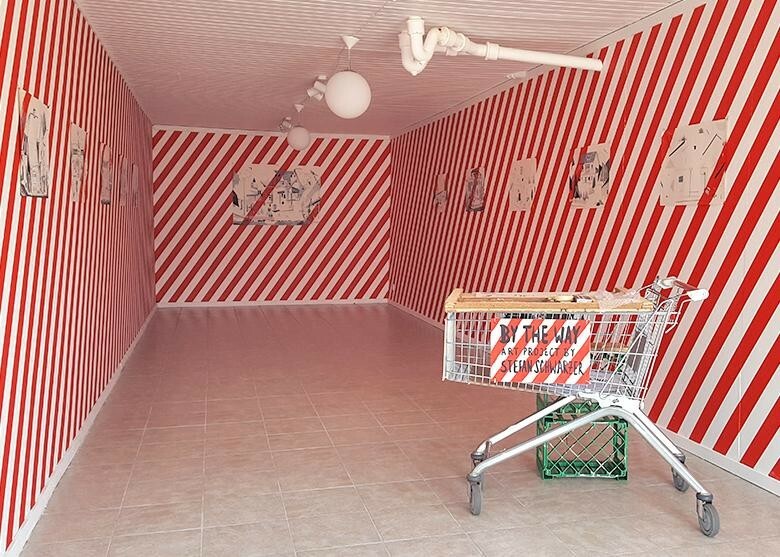 To explore the city Stefan Schwarzer walked for one week daily with a modified shopping cart trough the streets of Jyderup. 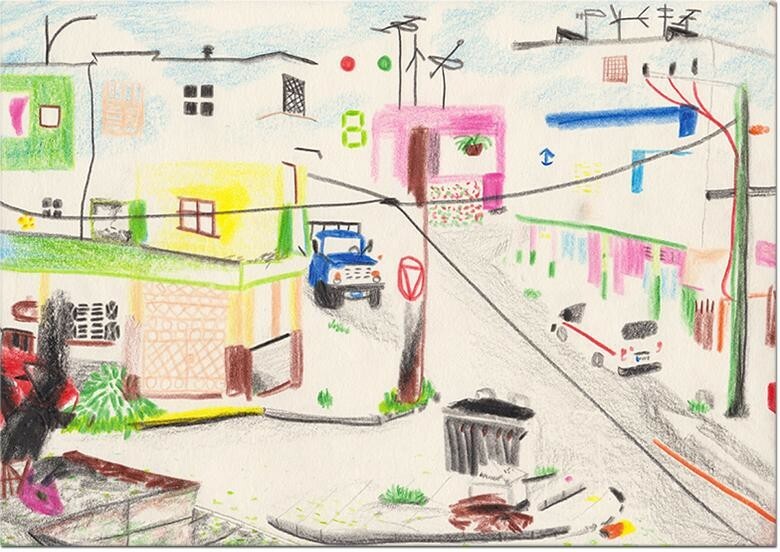 With the noisy shopping cart he crossed the streets and made stops in front of buildings to draw them. During the documentation the public life took influence in the working process. 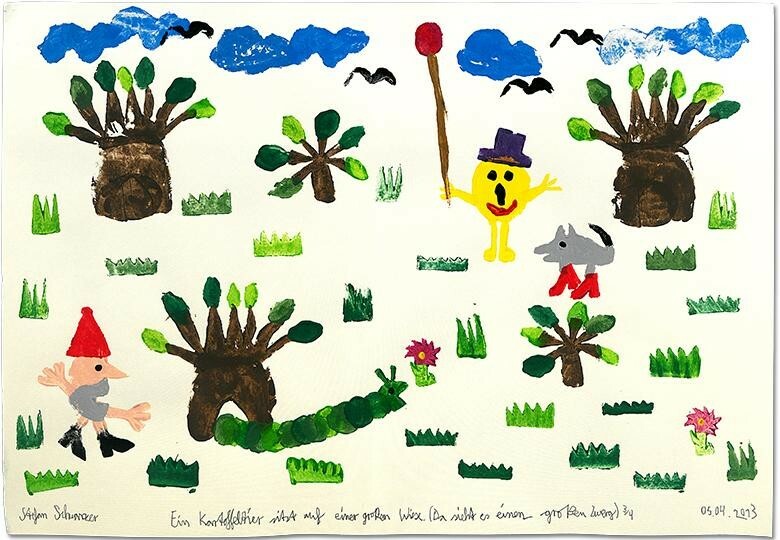 Every drawing contains a history with spontaneous conversations with the people in Jyderup. La Poesía de la Vida is the results of Stefan Schwarzers six months journey through Havana in the footsteps of the Cuban poet José Martí. 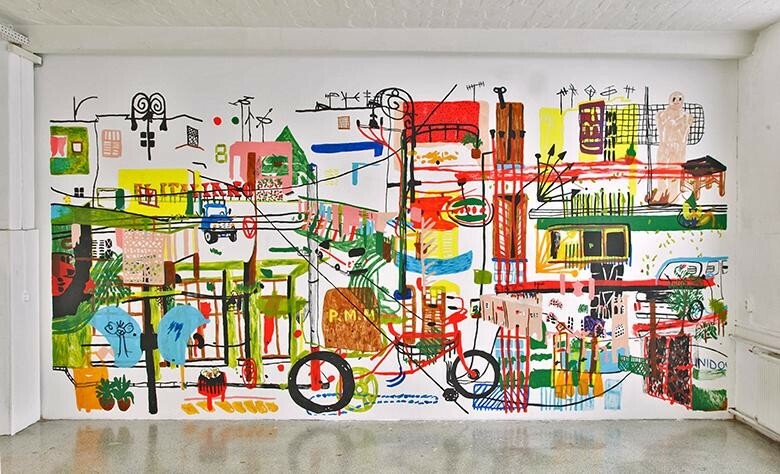 The artist developed a monumental mural for the exhibition Graduiert=Präsentiert. 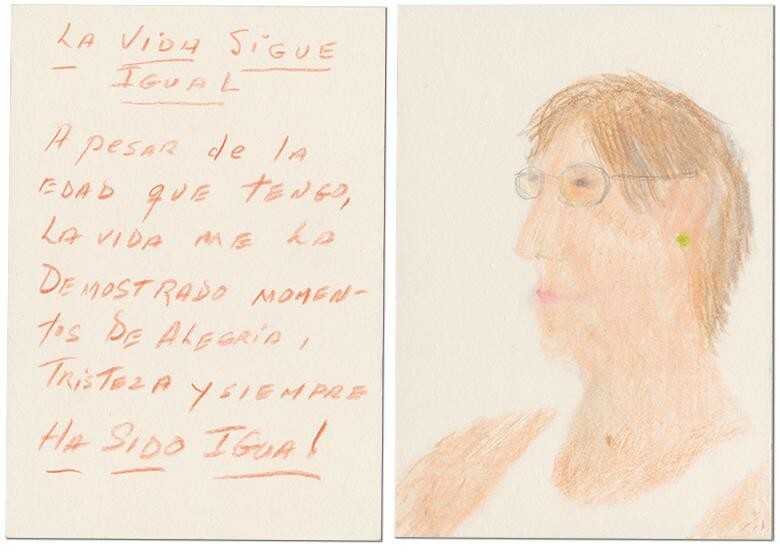 He combines drawings with fragments of texts and poems by the Cuban authors. 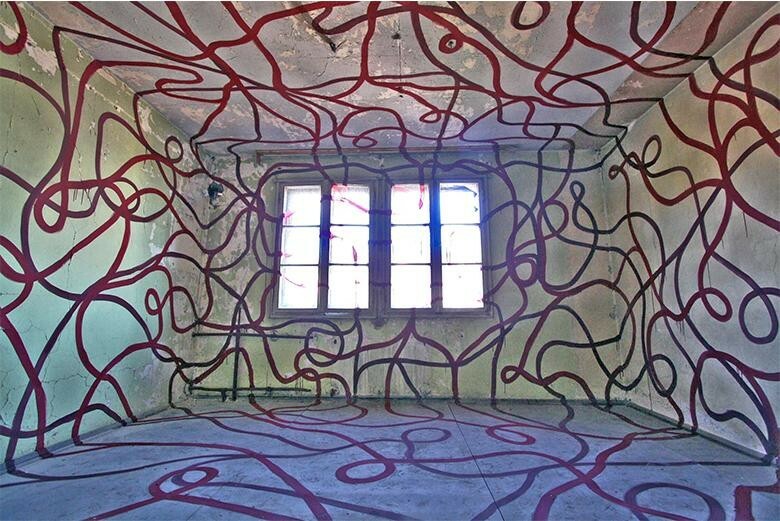 During his trip to Armenia, drawing in public space took center stage for Stefan Schwarzer. For several weeks he walked seemingly aimlessly through the public space of Yerevan, to document spontaneously his perceptions. 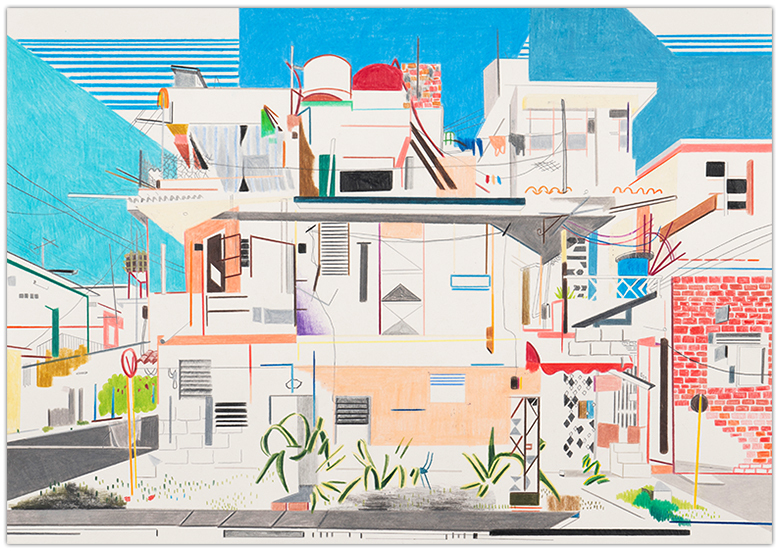 As a result of this work, Stefan Schwarzer developed the 40-part series of colored pencil drawings »Yerevan to go«, in which the Armenian capital dissects into components and presented as composition recomposed to the viewer. 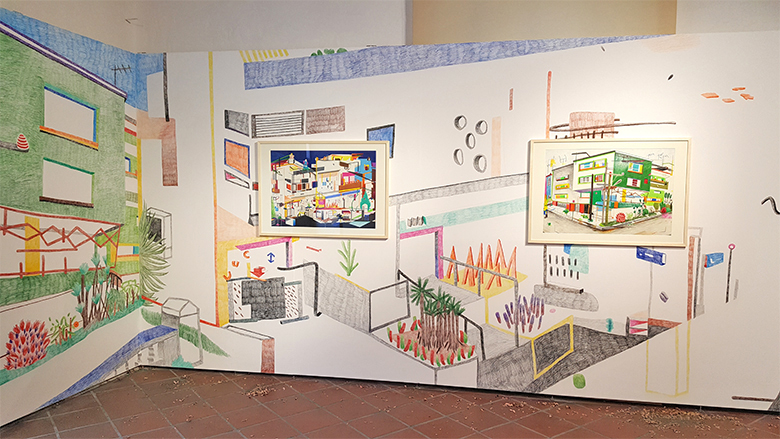 Based on these drawings, in Yerevan, the artist developed for the exhibition a large-size colored pencil mural that he combined with drawings from the series »Yerevan to go«. La Poesía de la vida is a wild journey through Havana in the footsteps of the Cuban national hero and poet José Martí. Big and small stories, improvisational balancing between "Patria o Muerte!" and "Rien ne va plus". The mixture of drawings, poems, short stories and interviews give an insight into the life of the inhabitants, from the street sweeper to the national prize winner. More than 40 Cuban authors writing about their city. 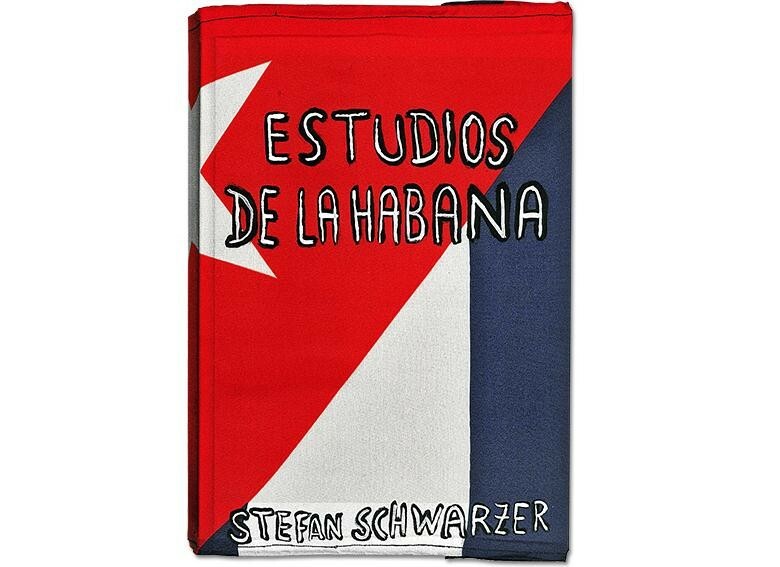 Background discussions and the diary by Stefan Schwarzer illuminate a Havana that exist maybe never again. During the daily journeys in the cuban capital Stefan Schwarzer spoke spontaneously with the residents and asked them for a quote or thought. 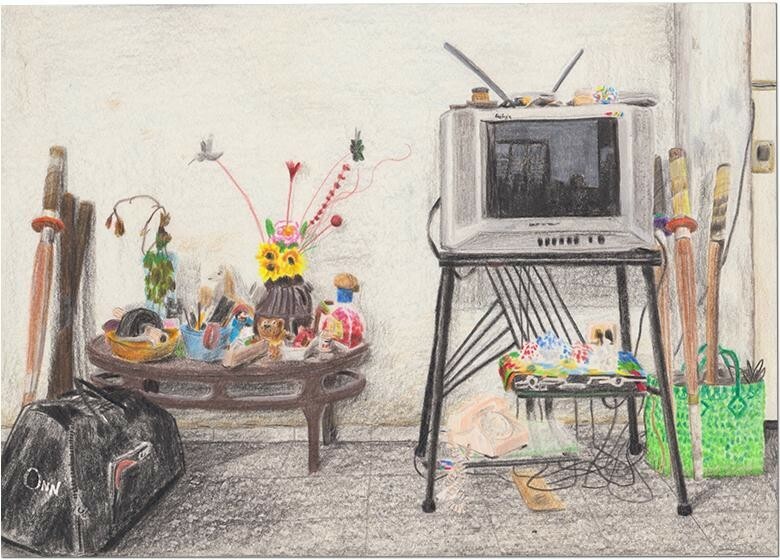 While the inhabitants wrote their thoughts with colored pencils, at the same time Stefan Schwarzer made a drawing of one with their related object. In this way a collection of 100 drawings and quotes were realized in two months. The buildings in Havana have a unique architecture, but many are in a very bad condition. Despite efforts the houses before the decay there are house collapses with many sacrifices. During his daily explorations, Stefan Schwarzer searched the streets of Havana to distinctive buildings In order to document them before their possible collapse and thus to save them from oblivion. 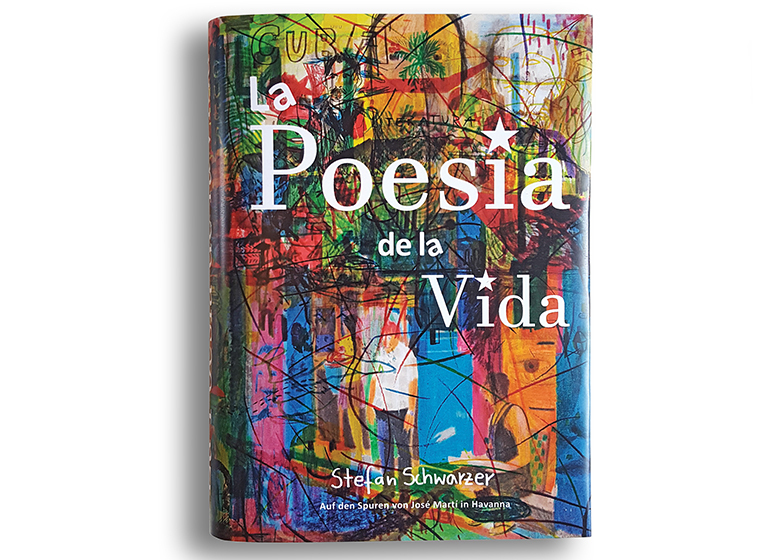 During the project "La Poesia de la vida", Stefan Schwarzer visited more than 40 Cuban writers in their apartments. In the private places he sought still life to document these with drawings. Each still life gives the possibility of conclusions on the personality and the living conditions of the authors in Cuba. 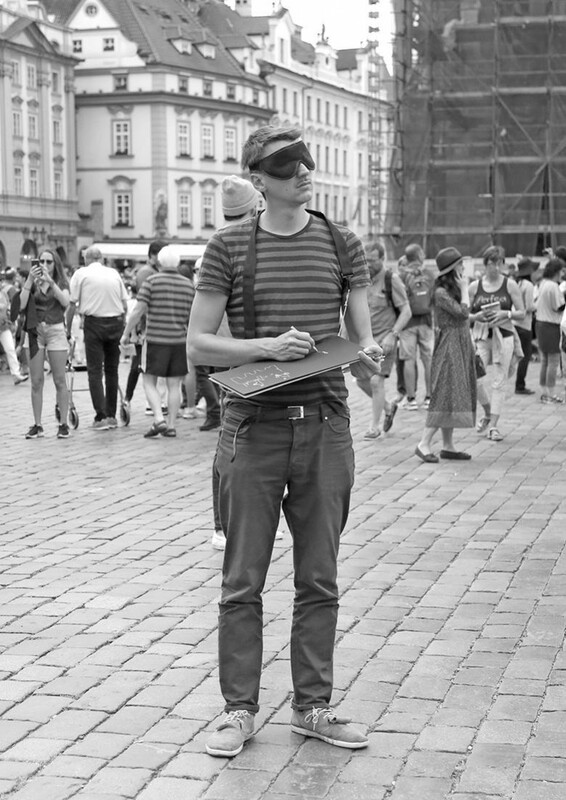 Stefan Schwarzer walked through Prague with a drawing board, paper and colored pencils. Spontaneously he stopped at a place and put on his sleeping mask. 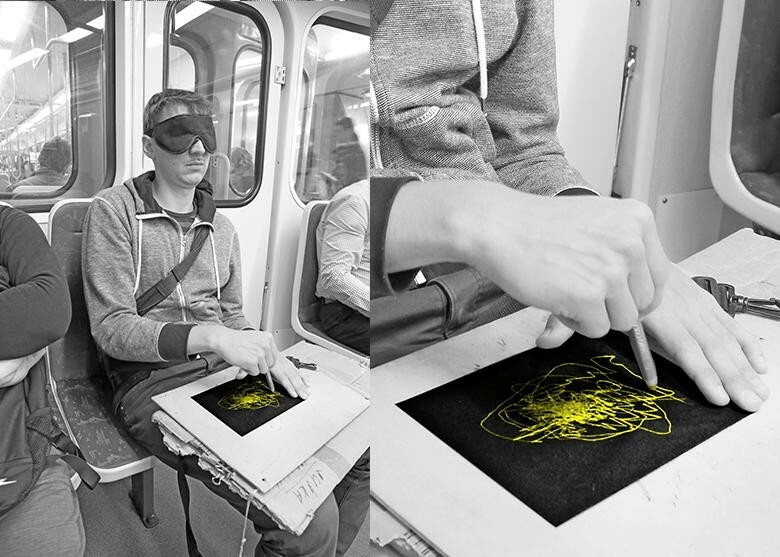 The three-dimensional images seen only with the inner eye were documented with a spontaneous drawing on black paper. Afterwards a random person was asked to write a description of the place on a white paper. From end to end, all stops of the three subway lines in Prague were used. The drawing began as soon as the doors of the subway closed. 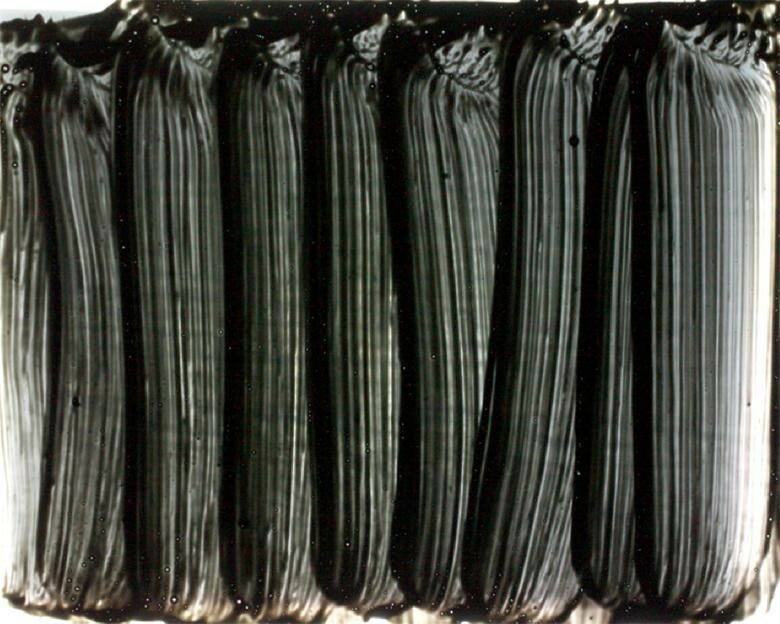 During the journey, the acoustically perceived movements and noises were shown with colored pencils on black paper. Drawing traces, the pen moved like a dancer over the sheet. 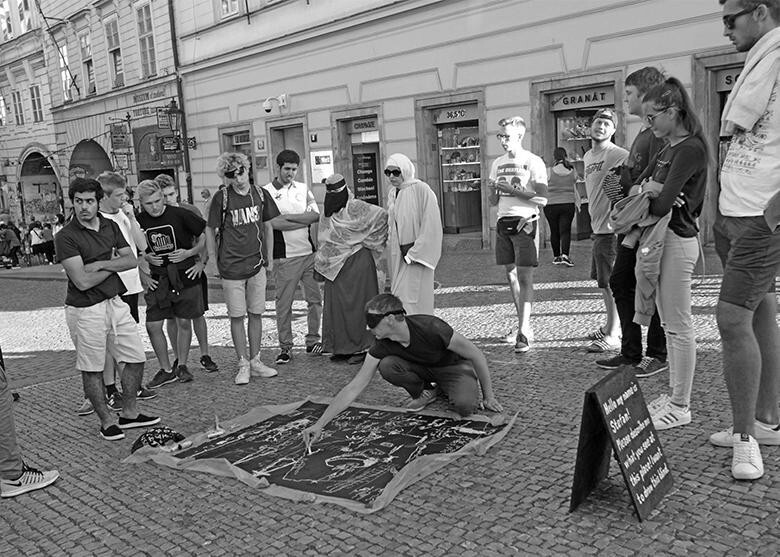 For the production of large-format blind drawings, Stefan Schwarzer selected five tourist locations in Prague. Once there, the brought black canvas was rolled out on the street pavement and placed near a stand. In Czech and English, the artist called on the passing people to describe him by acclamation of the place. Three weeks Stefan Schwarzer walked daily without a destination through the public space of Yerevan to document his perception spontaneously and fragmentarily. 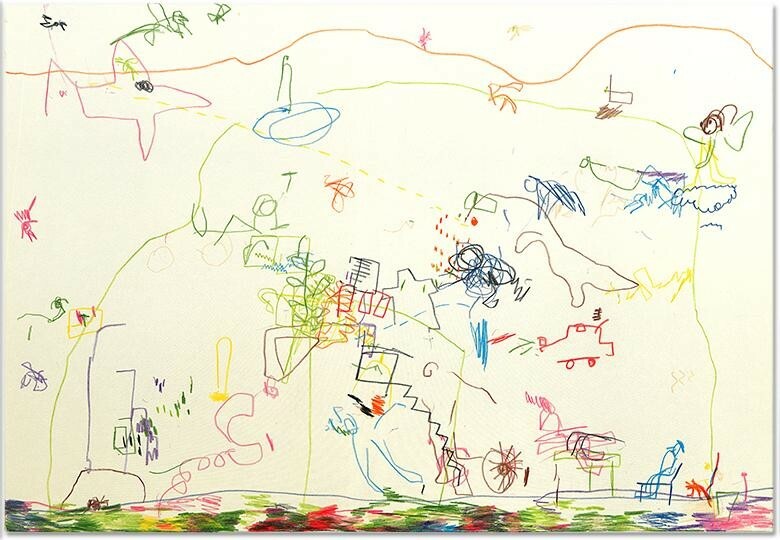 As soon as a object generated his attention he drawed these immediately while standing or sitting on the street. His drawings combined the artist with frottages from of different elevated surfaces which he discovered in his ways. 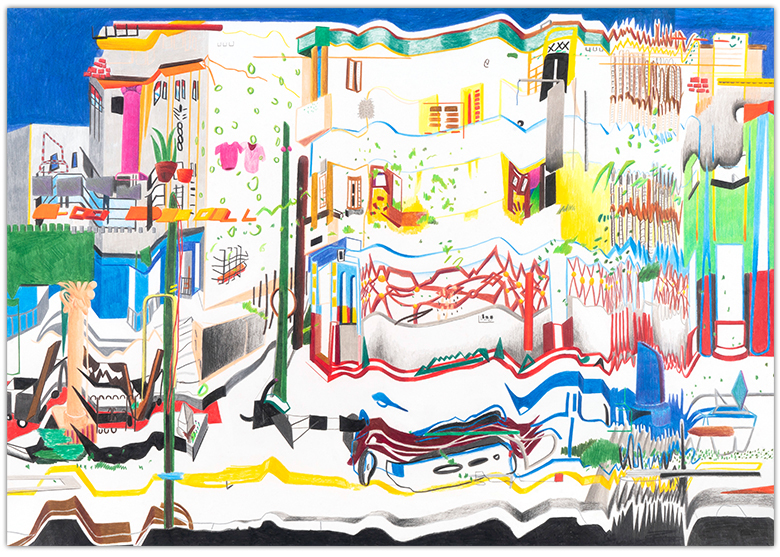 In consequence of this working method Stefan Schwarzer documented the Armenian capital in individual fragments from which he developed spontaneously playful compositions. During his month-long stay in Armenia Stefan Schwarzer traveled with a guide in the car through the country. Because of the difficult road conditions and problems to work directly in the countryside stationary he has to improvise. From this fact, arose the idea to draw during the driving. 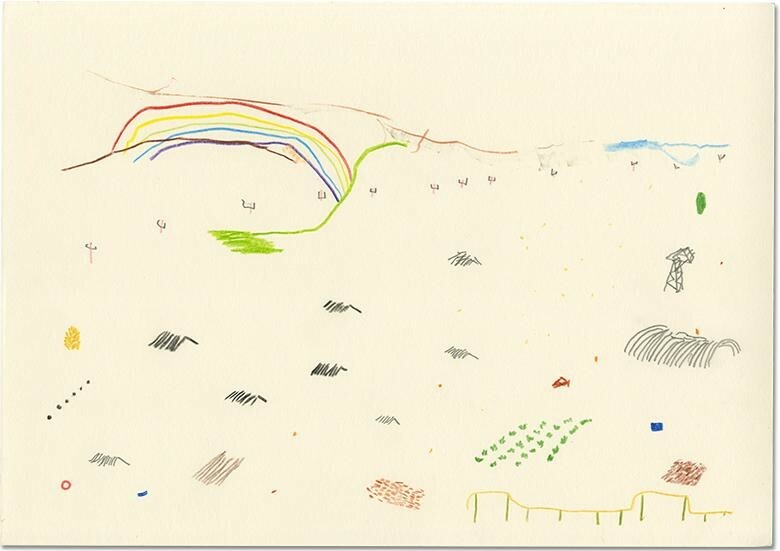 The fragments of the in brief moments perceived countryside and objects were directly documented with colored pencils. Because of the bumpy and winding roads developed a sign language and moreover, a method to document the unique Armenian landscape. During the daily excursions in Yerevan Stefan Schwarzer noticed many objects which are used as parking signs. In consequence of this observation, the artist dealt with these signs precisely and discovered their different materiality as well as the way of production. Each individual object was unique. 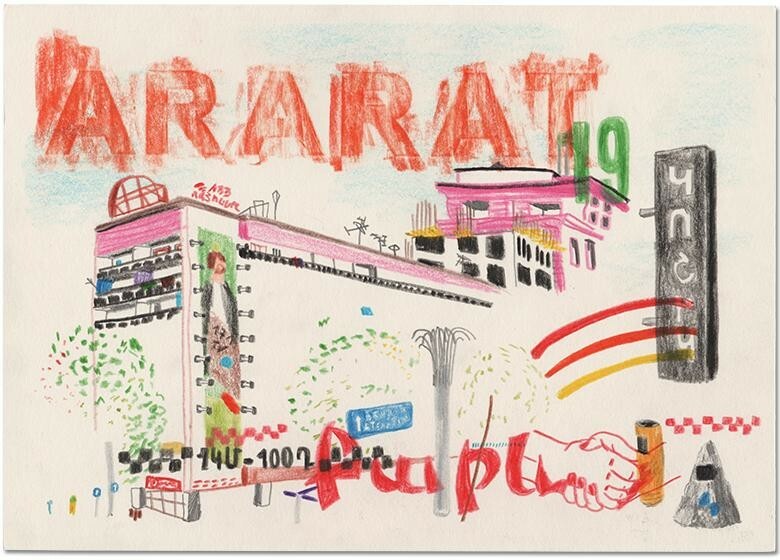 Several days Stefan Schwarzer walked through the streets of Yerevan and documented this Parking signs photographically to draw these with colored pencils after his return to Germany with every details. 1600 Km traveled Stefan Schwarzer by car and with a guide through Armenia. 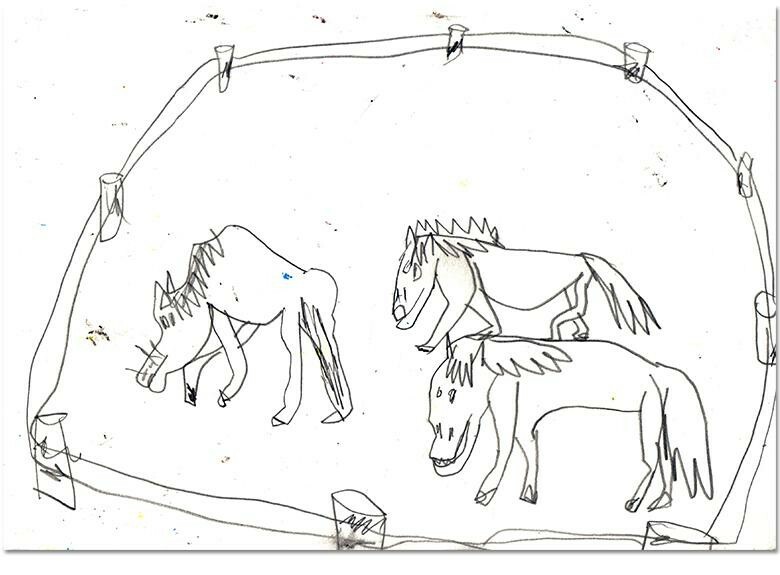 During the car rides were made countless notes, drawings, and photographs. 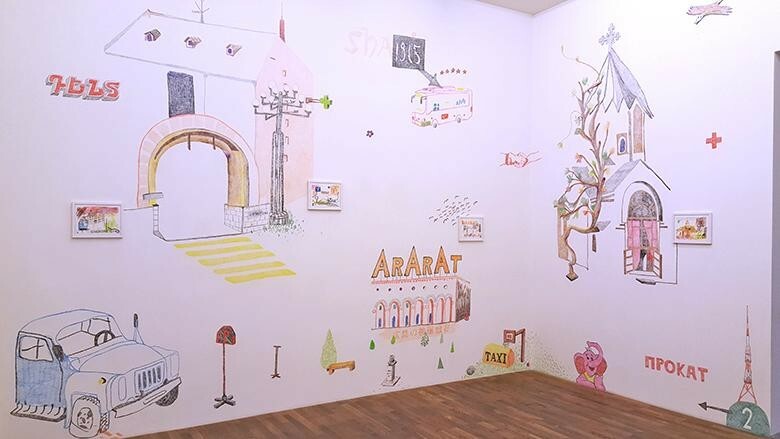 From these fragments from in brief moments perceived armenian countryside were made drawings on large format paper strips, which illustrate in their entirety a panoramic picture of memories and perceptions from the artist. The diary Estudios de La Habana was made during the studies at the Instituto Superior de Arte in Cuba. Six months Stefan Schwarzer walked daily trough Havana and documented his perceptions in drawings, photographs, found objects and notes. Every evening he noted his experiences and observations and drew the traveled distance in a city map. This pool of notes, fragments and ideas for art works were ordered and summarized in the book. The La Calzada de Infanta is an exemplary street in Havana, with the typical mixture of buildings, a variety of architectural styles and forms of use. 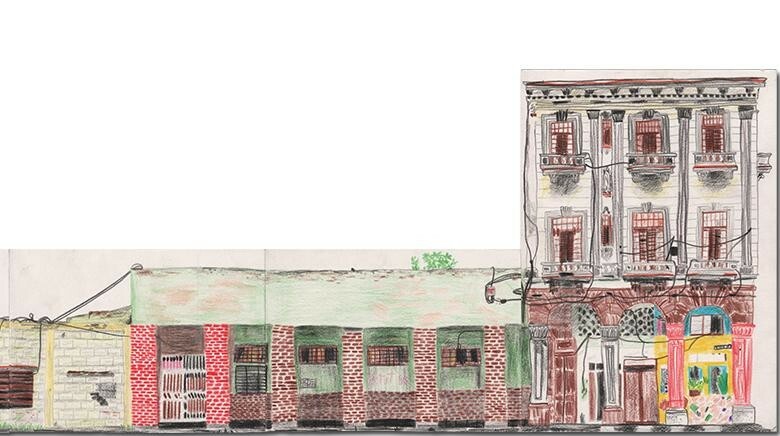 With the intention to investigate the architecture and the personal possession of the building by the inhabitants led to the idea to realize a series of drawings of the La Calzada de Infanta. In the period of two months Stefan Schwarzer drew each building completely of a two-kilometer road section. The artist worked directly on the street to document every detail, in which he sat on the respective opposite side of the building. 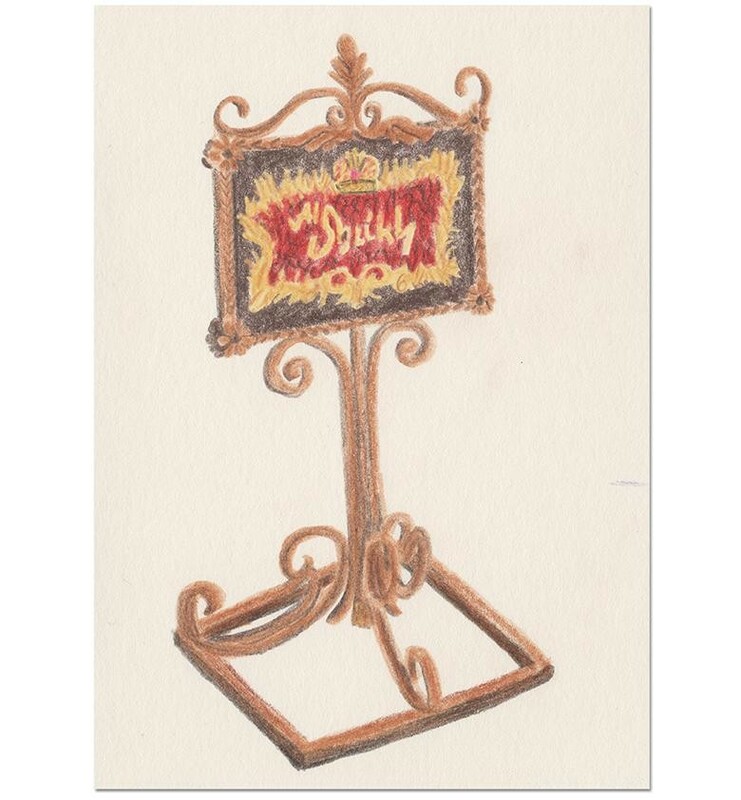 In the work Los Carteles de publicidades Stefan Schwarzer studied the garish hand-painted shop signs in Havana. For several weeks, the artist walked trough the streets and drew each discovered sign directly on the spot. Through this process, a total of 260 different signs were documented. 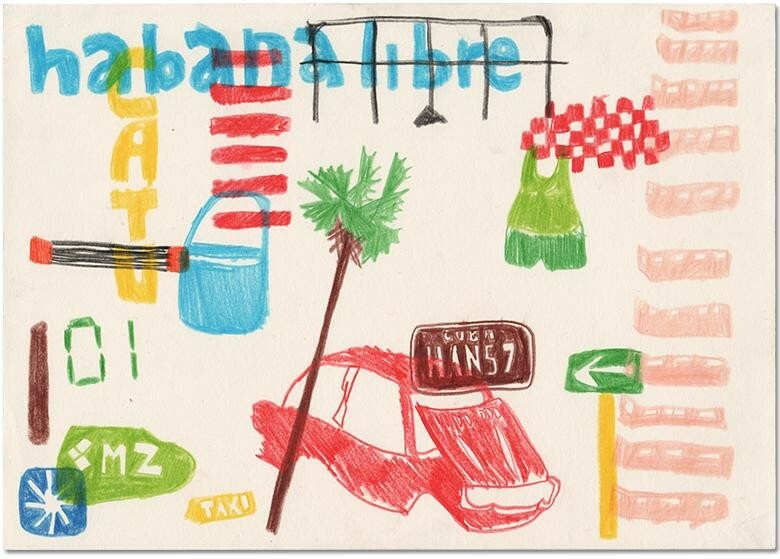 Each drawing or shop sign is an indication of the life of people in Havana. 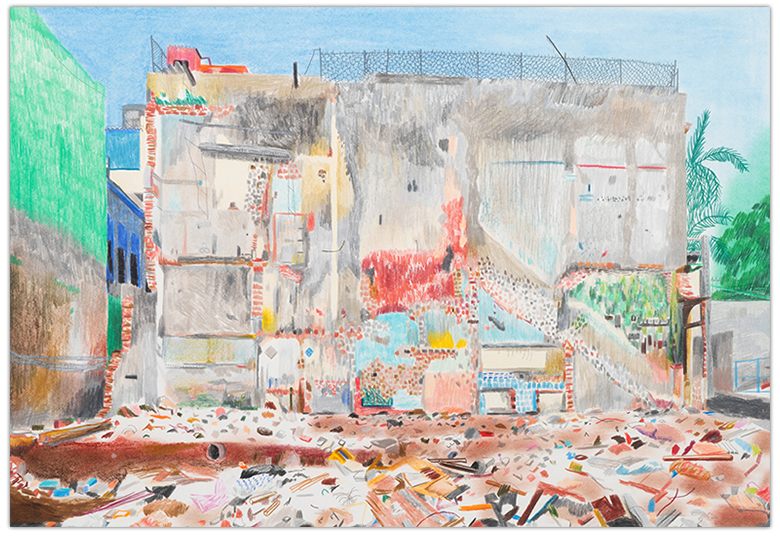 All drawings together can project a mirror image of the circumstances in Cuba. 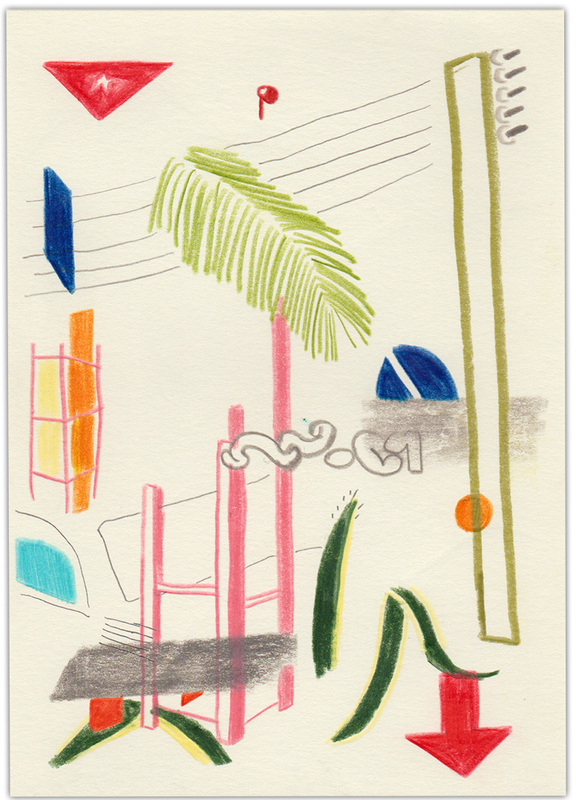 The series of drawings Bienvenidos were made in the first week of a six-month stay by Stefan Schwarzer in Havana. 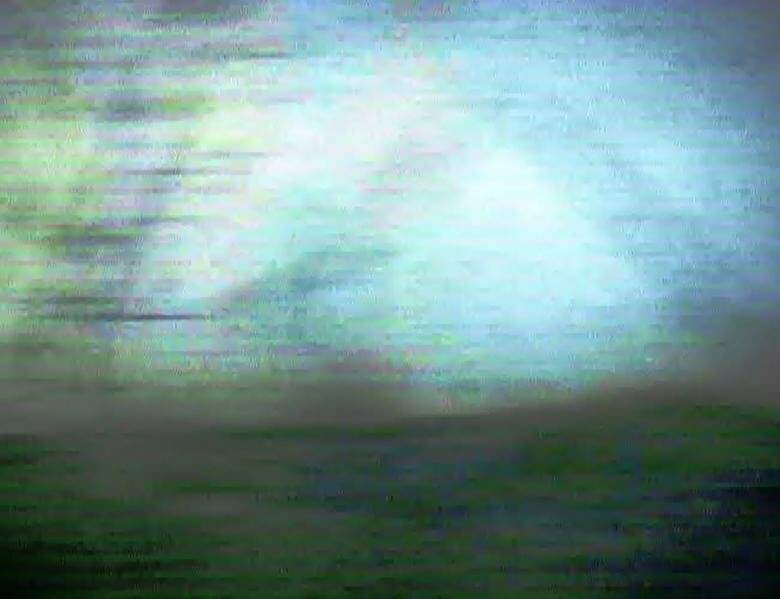 The intention was to document the perceptions spontaneous and simplistically amid of a new and unknown environment. 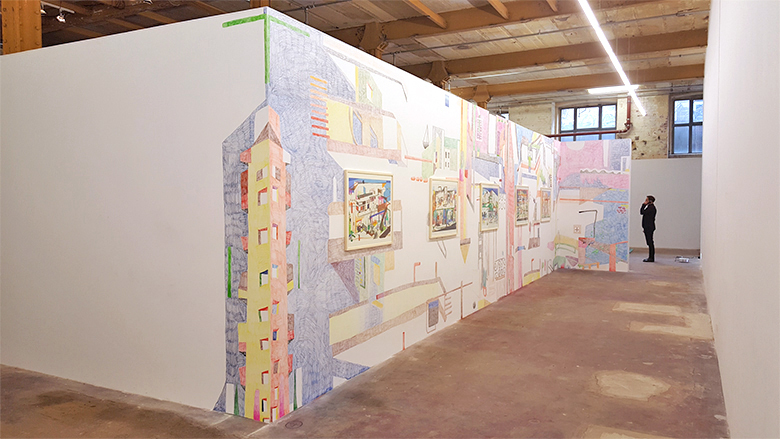 Four days long walked and drew the artist every day several hours in the public space and developed playful compositions from the fragments of his perceptions. 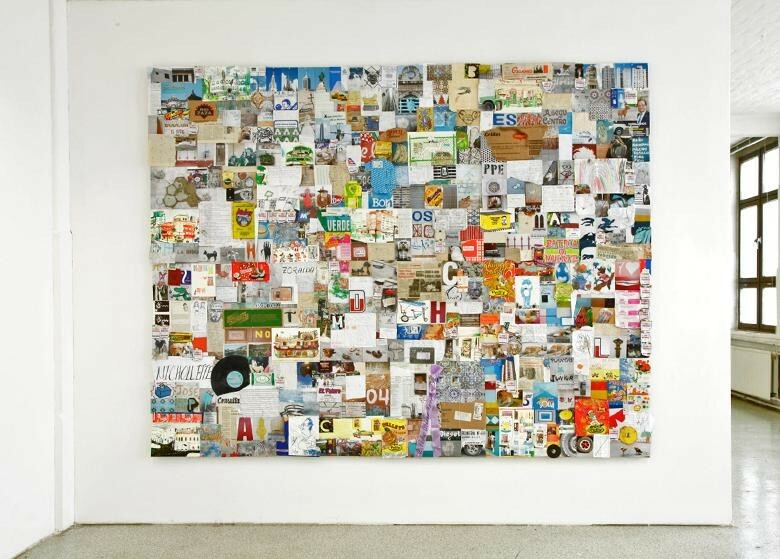 Influenced by the life which takes place in Havana on the street, Stefan Schwarzer worked from September 2013 to February 2014 also on the street. He walked daily without a destination for several hours through Havana. Spontaneously he stopped to draw, take pictures, take notes or collect on the street lying objects. The artist present his collection with the same visual intensity just as he has perceived Havana during his excursions himself. 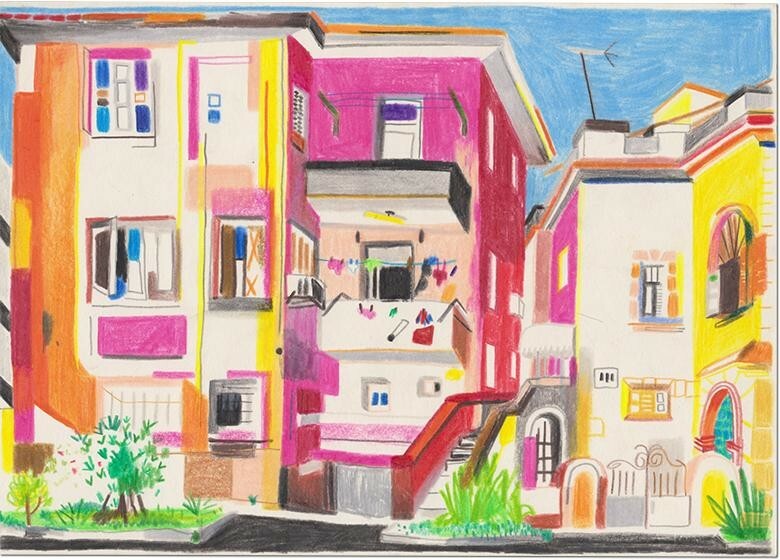 Equipped with colored pencils and a sketch block Stefan Schwarzer walked daily through Havana documented public space in fast drawing lines. The spontaneous immediate work under the open sky and unforeseen circumstances forced to improvise and influenced indirectly the arising drawings. In the streets of Havana, there are a huge number of cars of the Russian brand Lada. For a month Stefan Schwarzer walked daily through the streets of Havana and took photos with always the same perspective from the characteristic side front of the Ladas. 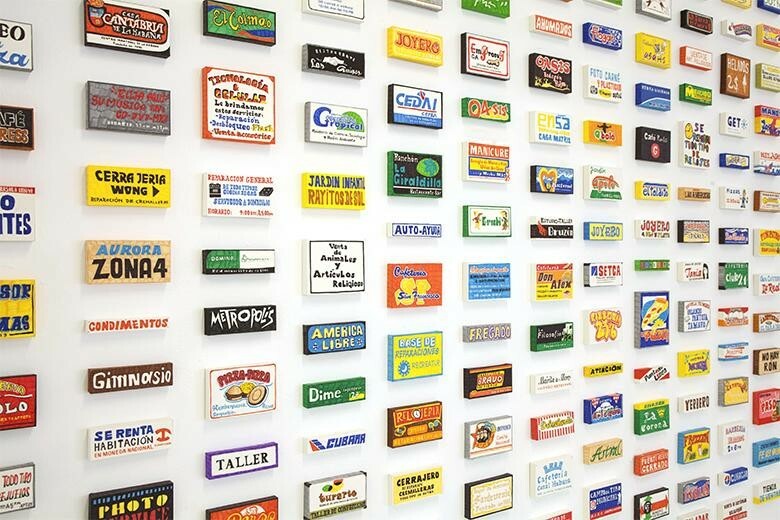 The artist used the working method of the empirical field research, to demonstrate the personal occupation of car owners in all facets. 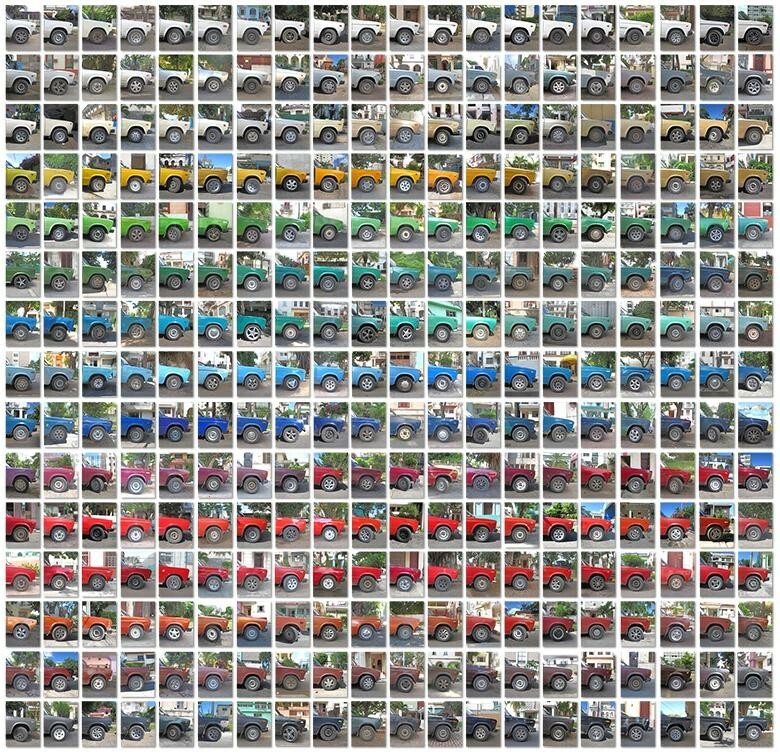 In the result he present by a color ordered view of 300 different Ladas. The streets of Havana are dominated by cars from around the world. The Year of the individual vehicles goes back to the 1930s. The country of origin of a car brand, can be attributed to a symbolic meaning. Vehicles from the USA, from the former Soviet Union and now increasingly from China dominate the streets of Havana, this observation is related to the tumultuous past of Cuba. In the period 2010-2013 Stefan Schwarzer overdraw every page his my children‘s book "Treasure Island" by Robert Louis Stevenson. 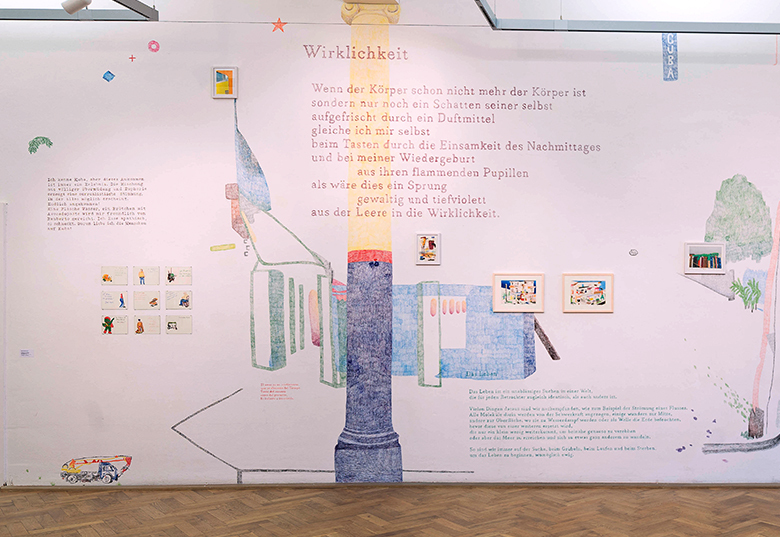 The artist read the book double sided, and overdrew the double page with the content of the read with crayons and oil-pastels. Through this process, incurred a full painted unique book. This book was published as reproduction in a limited edition in Hesperus Verlag. It's Midnight, I'm lying in my bed. 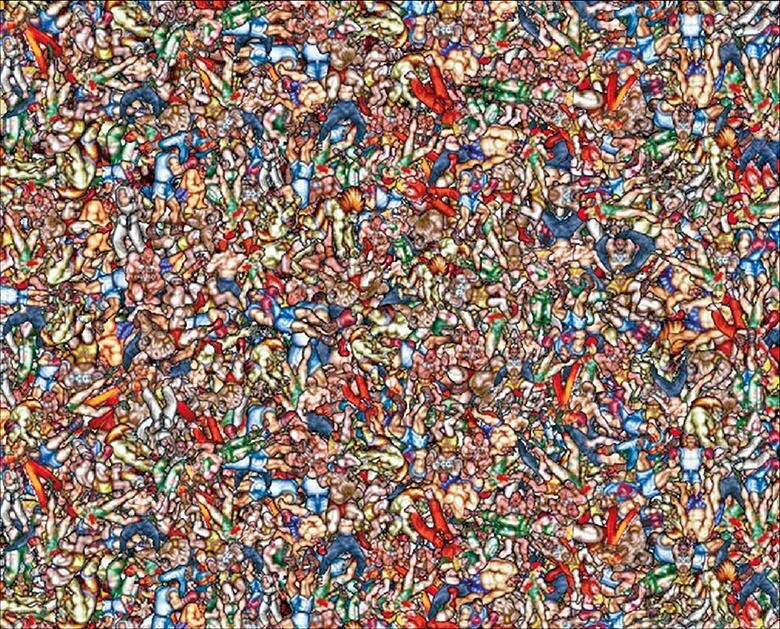 My room is dark, I can see nothing. In front of me there is a paper and colored pencils. I am very tired, trying not to fall asleep. 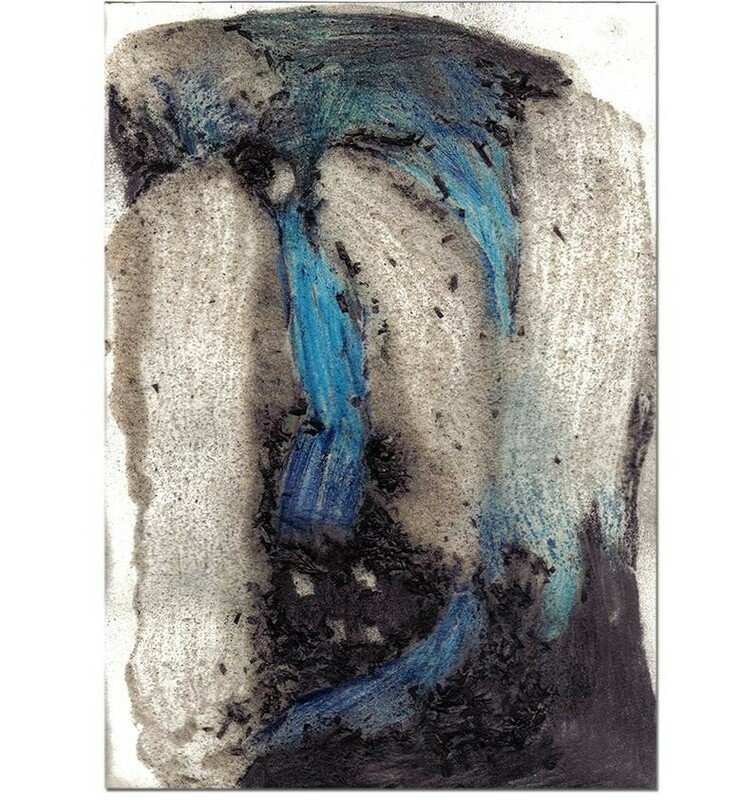 Front of my "inner eye" images and sequences appearing, I transfer this to the paper. edition 3 + 1 a.p. 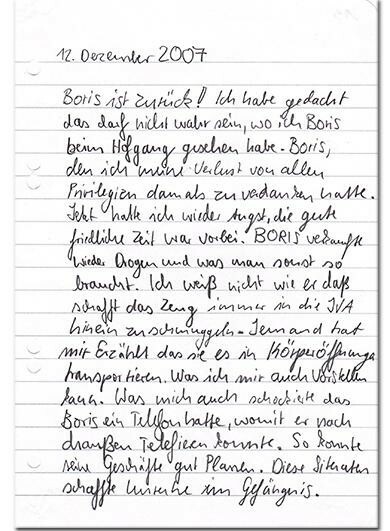 In investigations Stefan Schwarzer discovered the story, "Ein Kartoffeltier geht auf Reisen" from the primary school pupil Philipp. 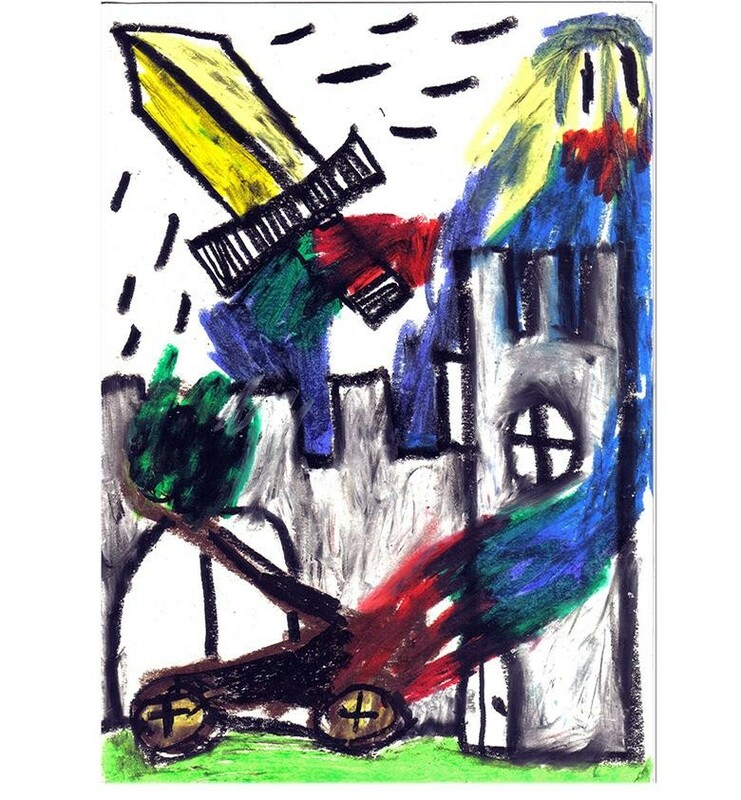 The artist contacted the ten-year-old author and asked him if he could illustrate his text. 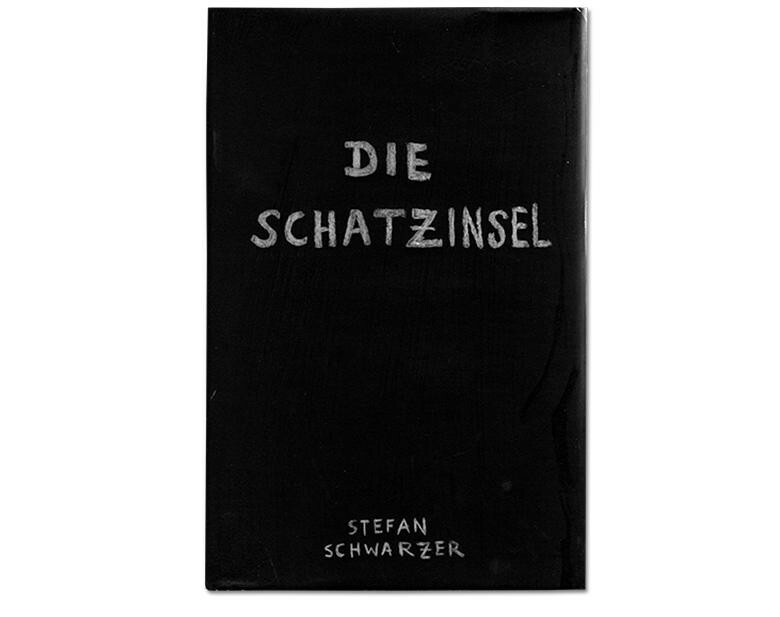 With his confirmation Stefan Schwarzer made an illustration with potato printing and sent him one edition. 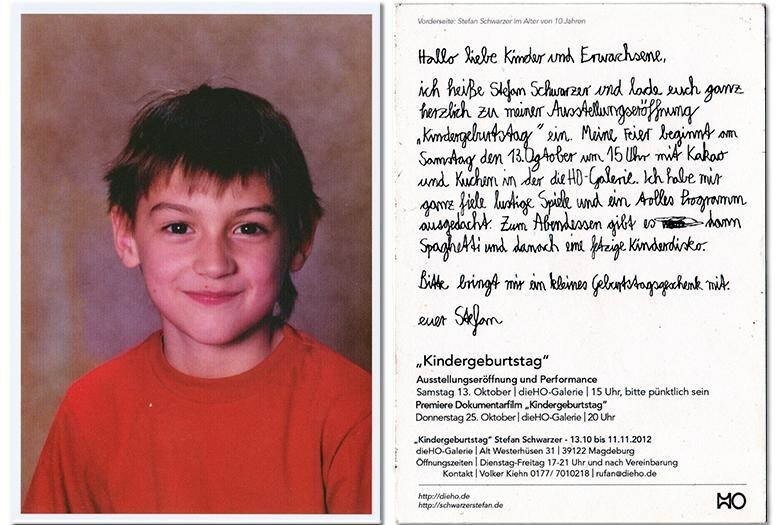 Stefan Schwarzer celebrated his 10th birthday with a performance again in a gallery in Magdeburg. The exhibition room was decorated according to a children's birthday. A photographer was engaged for the documentation of the party. In a playful way the 19 participants in the age between 7 and 40 years experienced the individual memories of children's birthdays again. 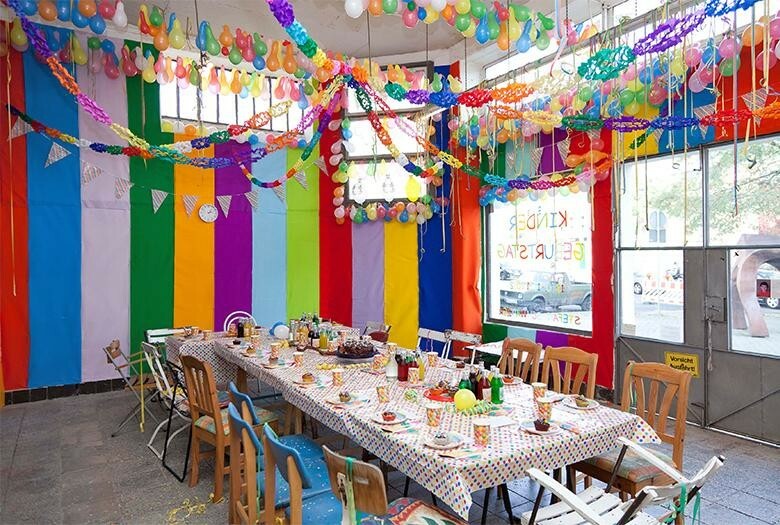 After the end of the performance Children's birthday the party room was presented unchanged as an exhibition for three weeks. dimension variable | edition 5+1 a.p. To the vernissage of the solo exhibition Street Fighter II Turbo, all guests could select one of twelve different masks, each one represented a fighter from the computer game Street Fighter II. Every guest was portrayed with his mask by a photographer at the entrance of the exhibition space. Afterwards a selection of 54 portraits of the guests were integrated in the exhibition room. 01:00 Min. | loop | edition 5+1 a.p. Stefan Schwarzer recorded the title strip of the computer game Street Fighter II with a video recorder and extracted a one-minute video sequence out of it. Then he projected it onto a pane of glass, painted it over frame by frame, photographed and assembled it to an animation. The concept for the art festival Begehungen Nr. 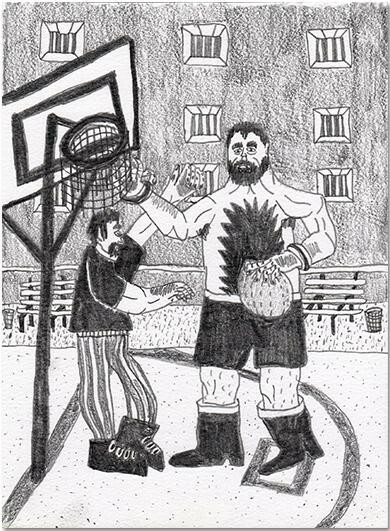 8 in a former prison in Chemnitz, was to create a fictional story with connection of the real place to the person Victor Zangief from the computer game Street Fighter II. 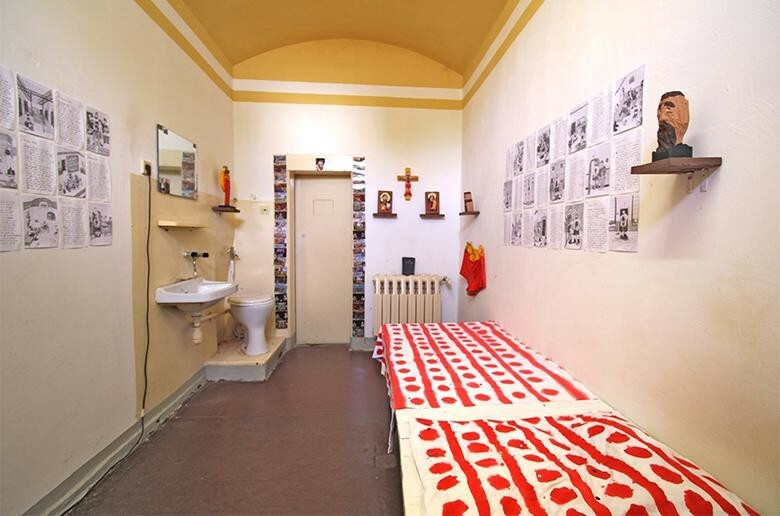 Stefan Schwarzers intention was to give the observer various indications from the life of the fictional person Victor Zangief, through the creation of a complete prison cell with furniture, objects, drawings, diaries and letters. 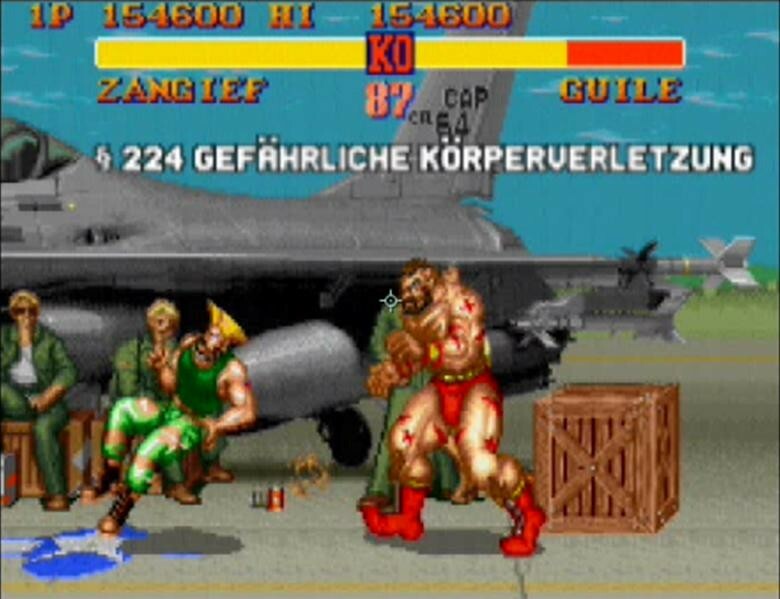 Each individual fragments in the prison cell was a reference to the past of the real place as secret police prision in the GDR and the real but fictitious figure from the computergame Victor Zangief. Fighter | 05:00 Min. | loop | edition 5+1 a.p. Background | 05:00 Min. | loop | edition 5+1 a.p. Word and number | 05:00 Min. | loop | edition 5+1 a.p. 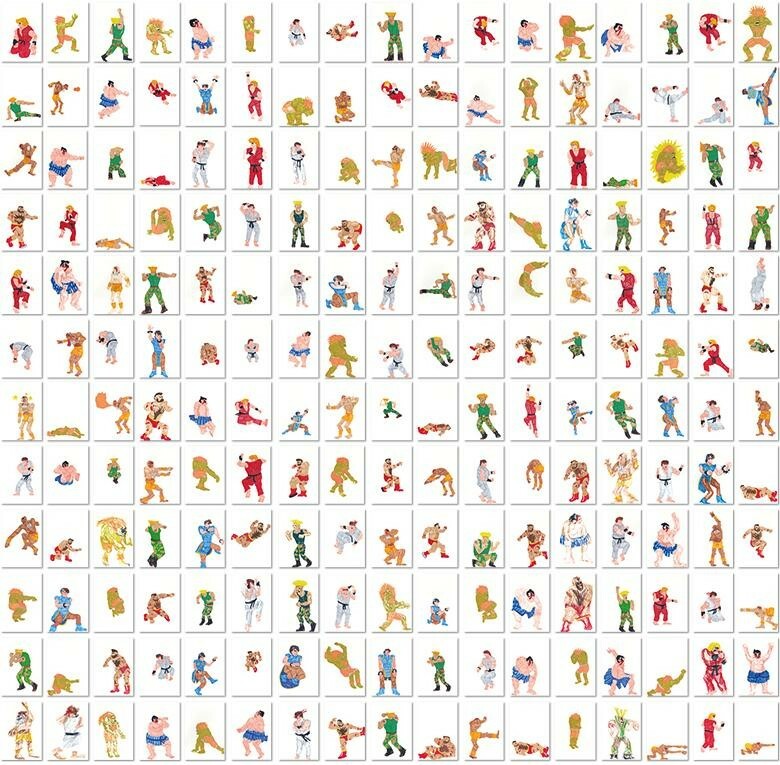 Video recordings of the computer game Street Fighter II have been divided into graphical constituents. These elements were arrenged in three video collages with the titles Fighter, Background and Word and Number. 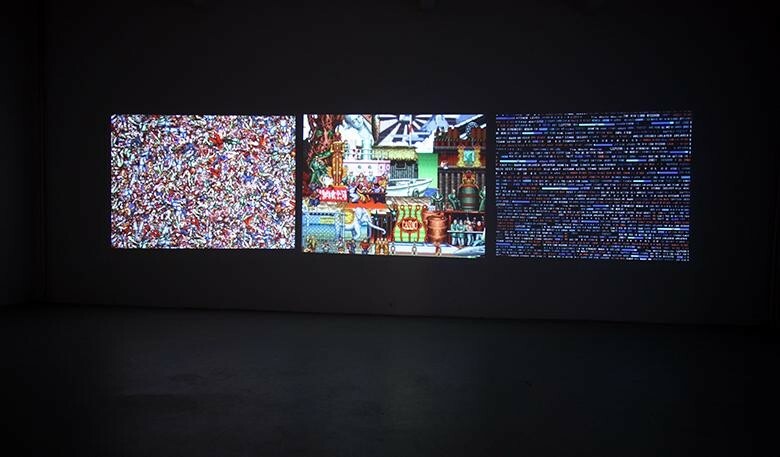 They Video sequences recall of puzzle pieces and became reassembled in every collage with different views. Three types of devices formed from the starting material, which are summarized in a Triptychon. 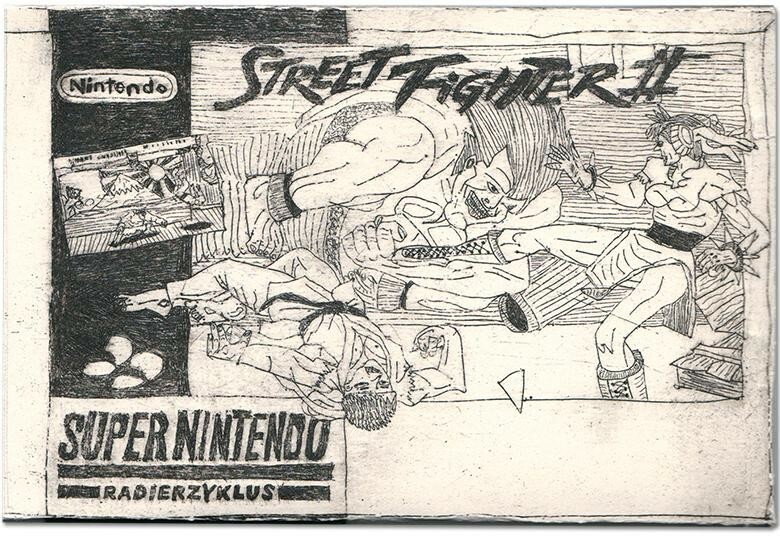 Over a period of 20 days Stefan Schwarzer made daily at least 10 drawings of fighters of the computer game Street Fighter II. The game was stopped at different positions and the frozen movements of the fighter were copied from the screen. 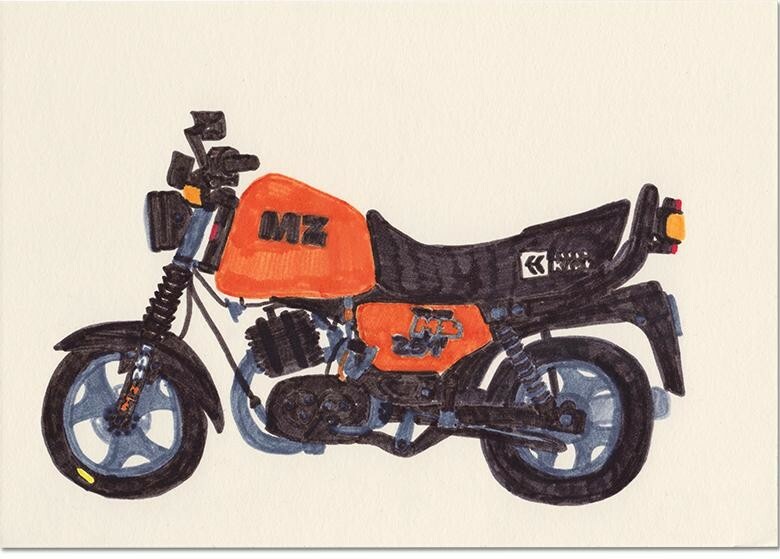 By this concept the work Groggy emerged with 204 drawings. size 10,8 x 16 cm (single sheet)| edition 3+1 a.p. While playing the computer game Street Fighter II, the monitor was photographed in irregular intervals. From these were 16 photos selected and tranfered in etchings. The size of the printing plate corresponded to the original size of the computer game cassette. 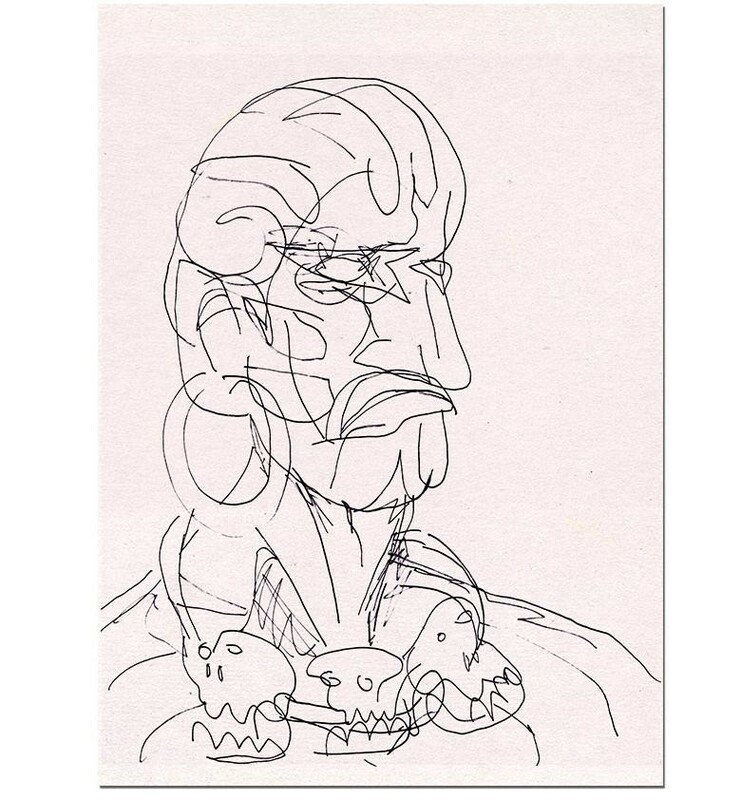 Stefan Schwarzer copied the fighter - portraits from the computer game Street Fighter II Turbo - from the screen with quick gestures and sporadic views during the emerging drawing. The configuration of the single portraits are exactly similar to the template of the computer game menu. loop | edition 5+1 a.p. 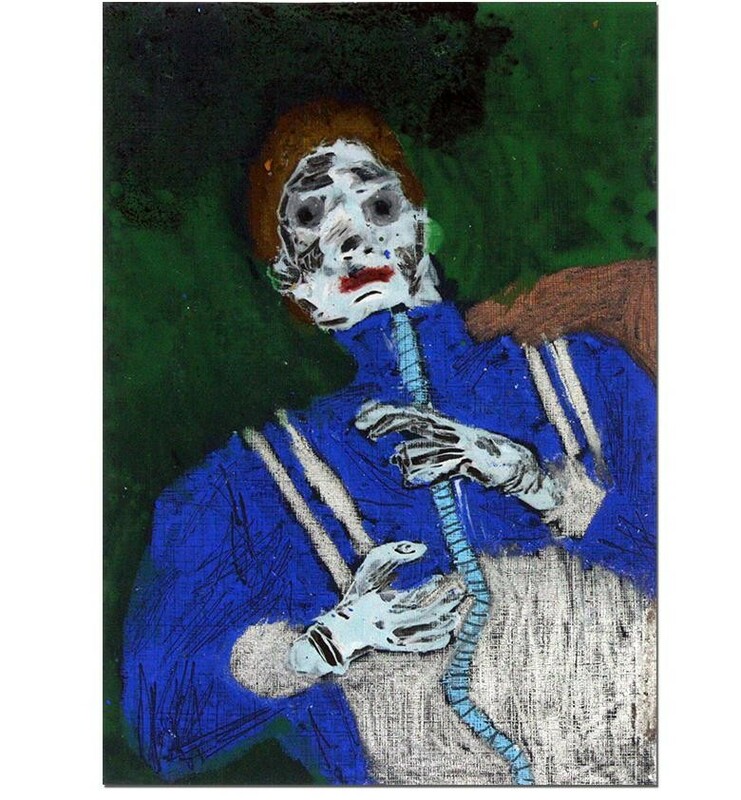 Download here the new PDF-catalog NEW WORKS 2019. Please contact me if you are interested and arrange a visit in my studio. Ordered drawings can be delivered for a surcharge personally or by a parcel delivery service. Download here the new PDF-Katalog NEW WORKS 2019. Download here the new PDF-catalog ARMENIA 2015. Please contact me if you are interested and arrange a visit in my studio.Ordered drawings can be delivered for a surcharge personally or by a parcel delivery service. 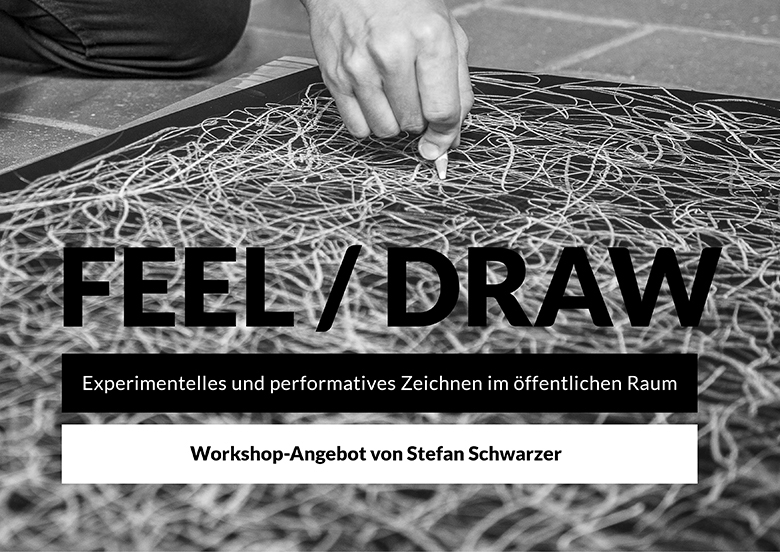 Workshop offer for experimental and performative drawing in public space. Download here the expose of the workshop with this Pdf-file. 2018 Participation at the Havana International Book Fair with the book "La Poesía de la Vida"
e-mail address by contact form and receive a newsletter.